Today is the last day for my "30 days of things I like/dislike" about Denmark and in my opinion, I have saved the best for last. I am sure you expect it to be about windmills or education or something else that I talk about frequently, but it actually has nothing to do with either of these topics. This #1 Like is the kind of thing that INSPIRES me every time I am a witness to it; it makes me feel SO good and so encouraged to believe that I truly CAN do anything. Danish senior citizens are TRULY AMAZING. 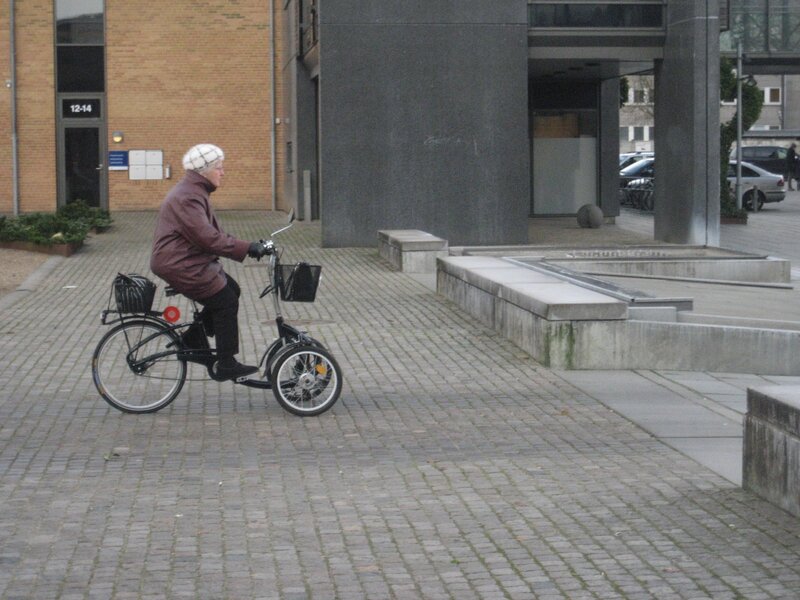 They set such a great example for all of us each time they get on their bikes and cycle into town. I have noticed in the last three years that they are not deterred by the weather or the temperature. Riding their bikes (as transportation!!) is a way of life for them and it just amazing to see. I am not sure what % of the population in Herning is made up of folks 70+, but I would dare say that if you were to stand on a street corner and count how many people passed you on their bikes, you would find that considering the fact that they are not a large part of the overall population, they ARE a large part of the daily bikers. So thank you, seniors of Denmark. I have just documented 30 things that I really do like about living in Denmark, but you and your example RANK AT THE TOP OF MY LIST! I can only hope to be that spry when I am 70+!